Hypocenter depth recalculated from 596.0 to 615.0 km. 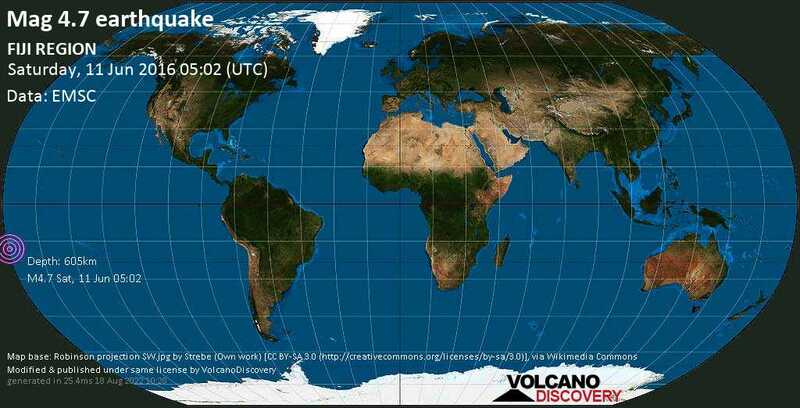 Jun 11 12:06: Magnitude recalculated from 4.5 to 4.7. Hypocenter depth recalculated from 615.0 to 605.0 km.